Always in fashion, the backless silhouette of the Elwood swivel barstool is functional, refined and classic. 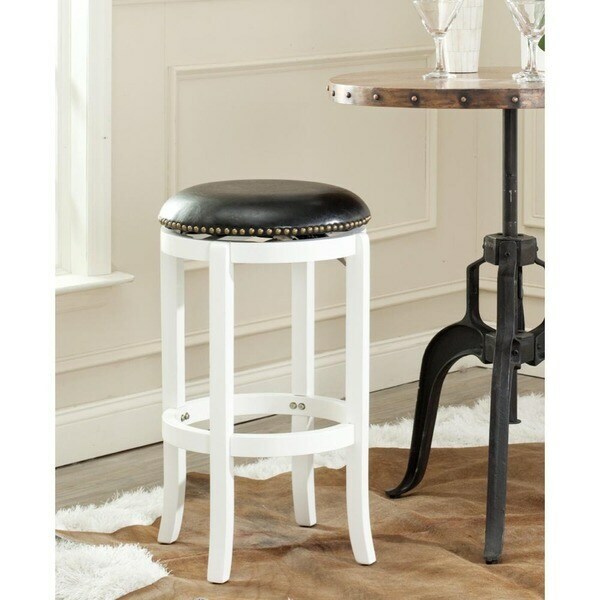 Upholstered with black PU leather and bronze nailhead trim, this pretty barstool is crafted of eco-friendly rubberwood in a crisp white finish. Dimensions 29 in. H. x 19 in. W. x 18 in D.